Tacky Christmas jumpers are one of my favourite things about Christmas. I started my collection last year, and am trying to build up quite a good one. 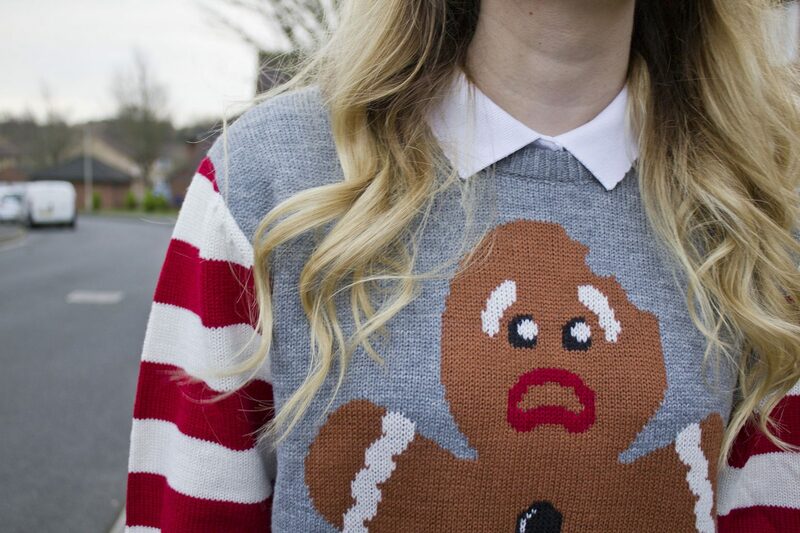 So I have decided that the next couple of Fridays until Christmas are going to be ‘Christmas Jumper Friday’ on my blog! Just to get into the festive spirit! So here is my first one that I picked up a couple of weeks ago from the Matalan men’s section. I think a lot of the time the mens section has better Christmas jumpers than the womens so I definitely like to check them out just in case I can find a good one. What do you think of this stripy gingerbread number?